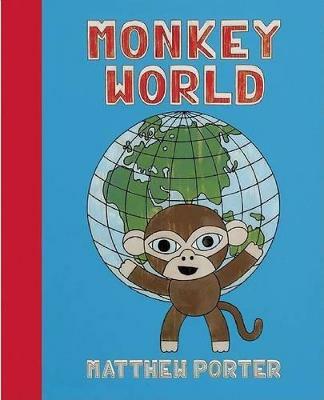 What if a monkey were an astronaut? A pirate? How about a cowboy or a queen? Matthew Porter's stylish new alphabet book depicts these delightful creatures in an amusing array of occupations. Written in the style of classic nonsense verse, the zany rhymes accompanying the bold ill... read full description below. What if a monkey were an astronaut? A pirate? How about a cowboy or a queen? Matthew Porter's stylish new alphabet book depicts these delightful creatures in an amusing array of occupations. Written in the style of classic nonsense verse, the zany rhymes accompanying the bold illustrations teach little ones their ABCs while letting them discover unusual professions such as detective, snake charmer, bass player, and ventriloquist. 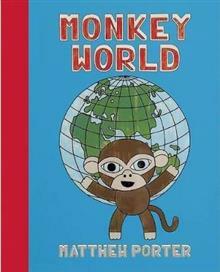 Porter's edgy yet lovable Monkey World images, bestsellers in his popular gallery, are collected here for the first time.